Watch your back, peanut butter and jelly. Theres a new favorite combination in town. 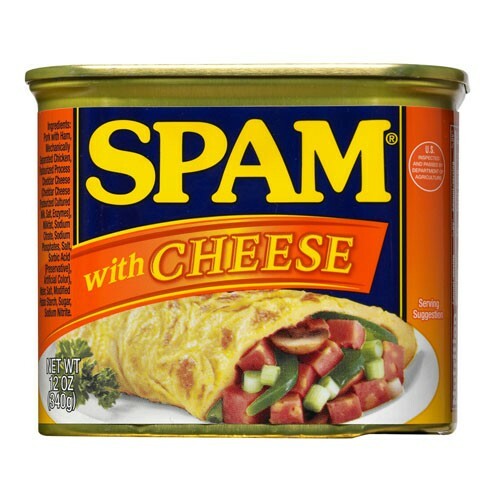 SPAM® with Cheese is a match made in heaven. Give it a taste in omelets, grilled sandwiches and more for an instant boost in the flavor department. 12 OZ CAN *ADDITIONAL SHIPPING CHARGES WILL BE ADDED ON ANY FLAVOR. **CANNOT SHIP THIS PRODUCT OUTSIDE OF THE UNITED STATES.